This edition of recent beauty loves happens to be very eye focused with cooling gels for the under eyes, my new concealer obsession and a swift way to take your eye make-up off. Cooling eye gels: I love these eye gels to use after I've have a late night out or feel like I want a little pampering. 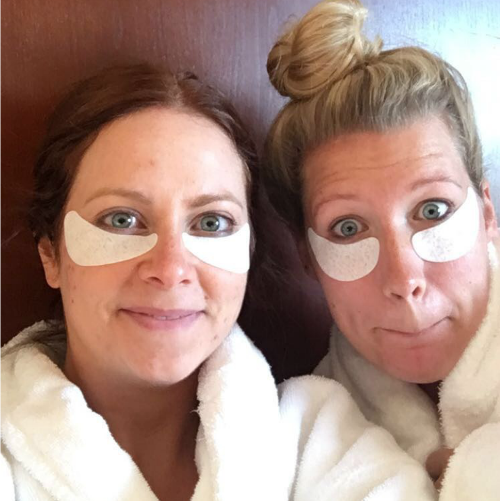 I even used them on the day of my wedding (below with my maid of honor that morning)! I do find that lines under my eye tend to disappear a bit after using. Micellar water: I had read about micellar water in a variety of magazines and decided to try. This article at the Huffington Post explains what it is better than I can! I don't use it for washing my face but rather to easily take off eye makeup without rubbing. It's the best thing I've found for that. Bye Bye Under Eye: This was an impulse buy at Ulta over the weekend and I LOVE it. It is a bit heavier than other concealers but I think that may be what keeps it from sinking in creases and it stays all day. What are your recent beauty obsessions? 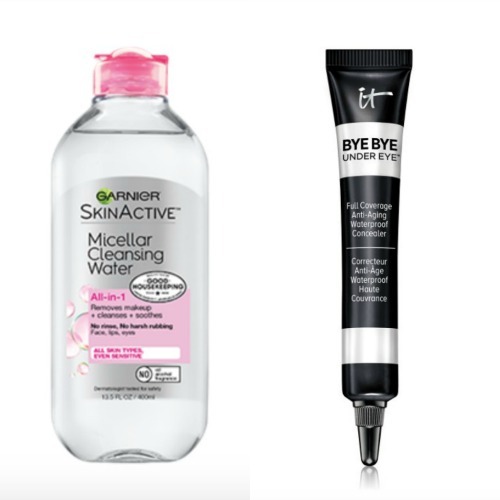 The micellar water is a great find - best makeup remover!! I also recently discovered micellar water and love it for makeup removal!